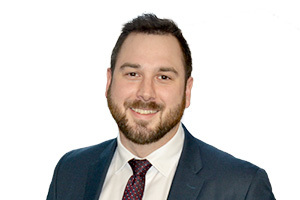 Elliott Bourgeois received his Master of Management Science (MSc) and Bachelor of Commerce from the Telfer School of Management at the University of Ottawa, both in Finance, and began working with Welch LLP in 2018. Previously, he’s taught finance fundamentals through UofO, followed by finance roles at one of Canada’s large financial institutions and export credit agency. With a passion for continuous improvement, Elliott continues his enrichment as a CFA level II candidate. Elliott’s role is to help lead the Wealth Management Services division, helping clients fully leverage the in-house Welch expertise for a holistic view of tax-efficient asset accumulation and eventual conversion to income. When not in the office, he can usually be founds missing fairways and scrambling for pars. BComm University of Ottawa 2010, MSc Management University of Ottawa 2014, studies continue as a CFA II candidate.